So you've made the decision to transfer your Parent PLUS Loan to your child. That's great news! Many parents choose to do so in the years after their child graduates. That's because while the payments may seem doable at first, it's sometimes difficult to pay off the debt over time, particularly as you reach retirement age. However, not all lenders allow you to transfer your loan burden to your child. Laurel Road is one of the few exceptions. Let's take a look at their application process. Technically, as a parent, you can’t actually transfer the loan to your child. Instead, student loan refinancing companies like Laurel Road allow you to refinance the loan into your child's name (with their consent, of course). Essentially, your child will take out a new loan with new loan terms to pay off the PLUS loan. There are eligibility requirements your child must meet to be able to refinance the PLUS loan under their name. Generally, that means your child must have graduated from a bachelor's or other degree program and be able to prove that they can financially take on the debt. Once approved, Laurel Road will pay off the PLUS loan and issue a new loan to your child. Your child then becomes responsible for the debt. Now let's get started. Head over to LaurelRoad and follow these steps. From the Student Loan Refinancing page on the website, click on "More options for parent loans" (see below) and then scroll down and hit "Refinance Now" to begin the application. Next, you'll see the page shown below, where you'll create an account. 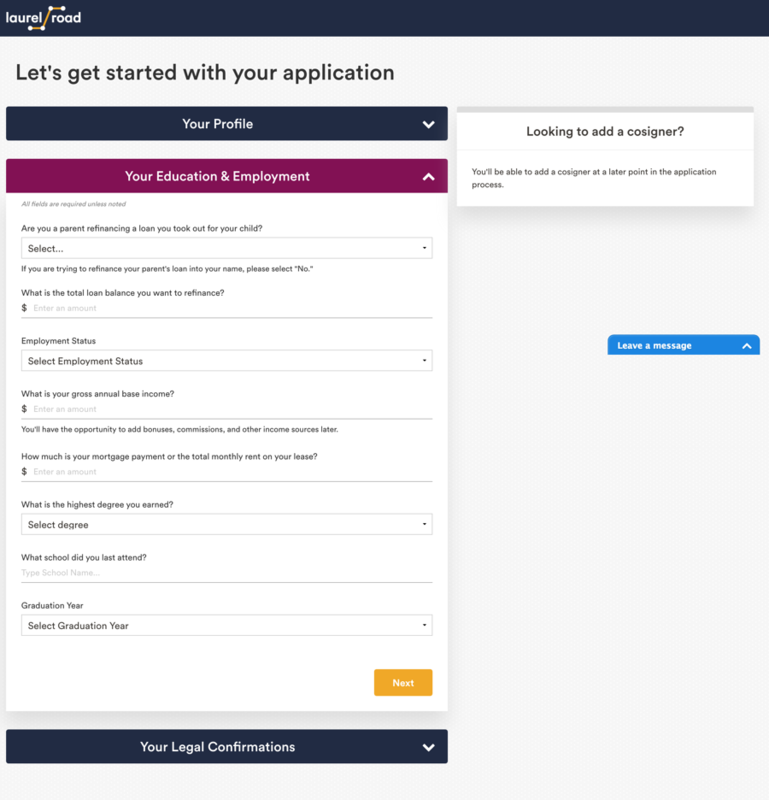 This will take you to the application page, where you will enter some basic information about you and the loan you're trying to transfer to your child. Be sure to select "Yes" under question "Are you a parent refinancing a loan you took out for your child?" as indicated in the screenshot below. Another section will appear where you can enter information about your child. Because your child will need to agree to refinance the loan, you should fill out the application with them (either in-person or over the phone). 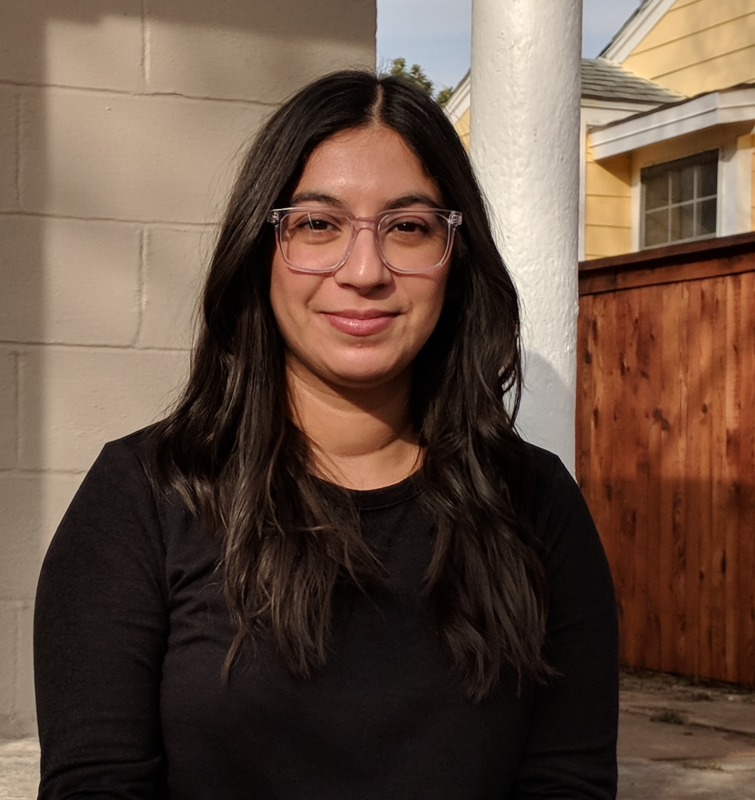 The lender will pull a soft credit report, which is basically a way for Laurel Road to pre-approve your child for refinancing. A hard check will occur later in the process before you're giving a final refinancing offer. After filling out basic information, you should see the rates for which your child will be eligible to refinance. 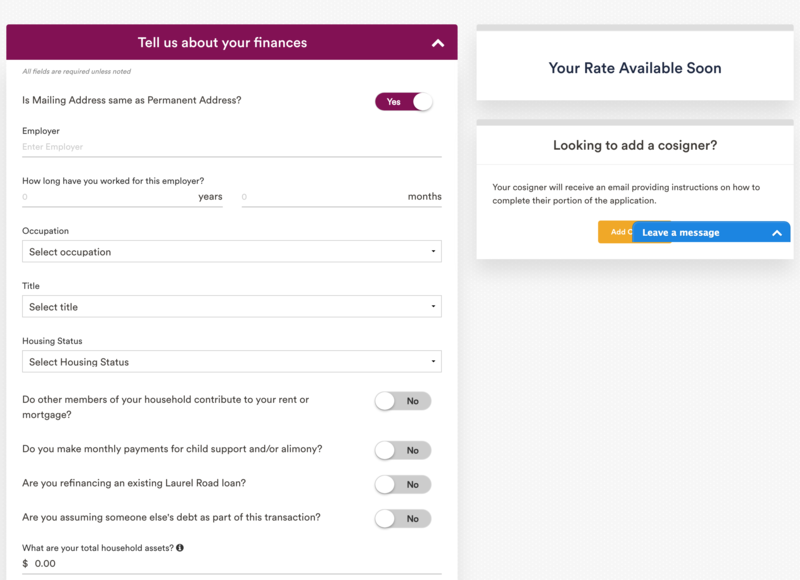 On some occasions, the lender may need more information, or your application may need to be reviewed, before you see the rates your child qualify for. You'll need to provide some personal finance information for your child, such as the name of their employer and other debt. 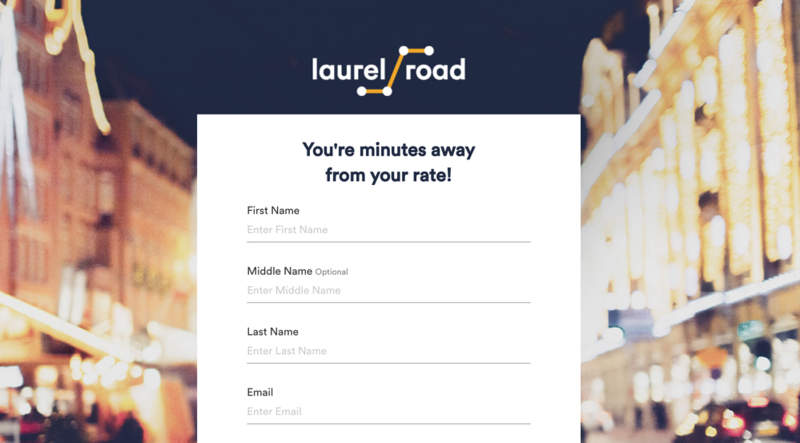 After your child authorizes Laurel Road to check their credit, they'll be given a loan offer, which will explain the loan term, monthly payment, and interest rate. Before final approval and closing of the loan transfer, your child may be required to submit additional documents to confirm that the information on the application is correct. Remember that you, the parent, are still responsible for the loan until the loan has been refinanced in your child's name. So don't skip on any payments. Other than that, the application is complete! Transferring the loan to your child with Laurel Road is easy and usually takes less than 20 minutes. If you have any questions along, the way, open a chat window and chat with their customer service team. It's a great way to move through the application quickly.